Highlighting the natural refinement of nature's most stunning raw materials--think ancient quarries and intricate shells--the Elements Collection is the perfect marriage of opulent and organic. Love this bottle! 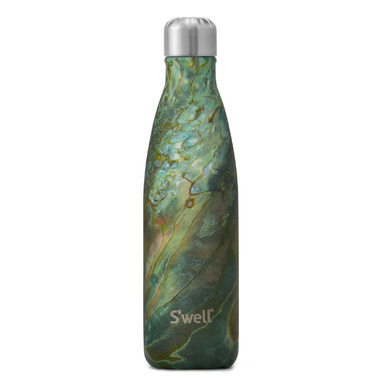 Already have another S'well bottle in a different size and was happy to get this one on sale! Really does keep beverages cold for 24 hours and the quality is way better than the 'imitation' brands. If you wash by hand this bottle will last for years of daily use.